If you cut Corrie Lindgreen in half, you would see ‘engineer and teacher’ written right through him. Dutch born and bred, Corrie’s family immigrated to Auckland in 1959. He went into an apprenticeship with toolmaking and product design company Eric Paton Ltd, straight from school. He spent the next 10 years working in general engineering companies, such as Alcan Industry, Rex Consolidated and Trojan Tools, working his way up to assistant chief engineer and then moving on to self-employment. 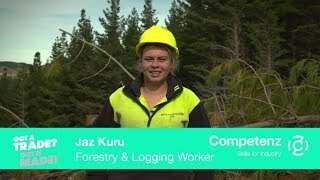 Corrie is passionate about passing on skills to the next generation and encouraging young people into New Zealand trades. He switched profession in the 1980s and became a teacher. His first post was at Manurewa High School, and for the last 30 years he’s been in the Technical Department at Macleans College, overlooking Bucklands Beach in Auckland’s East Shore. As Head of Engineering, Corrie is ideally placed to make sure his department’s projects and competition entries are written up online and in trade magazines, like The Shed. Corrie’s ongoing ‘student skills advertising campaign’ has created a wealth of opportunities for local youngsters. A long-term advocate for industry-based vocational work in secondary schools and firmly embedding pathways to jobs into the school system, Corrie also has a history with Competenz stretching back 10 years. In the early ‘90s they worked together on the University of Auckland’s Team Solutions programme, moderating workshop technology components. 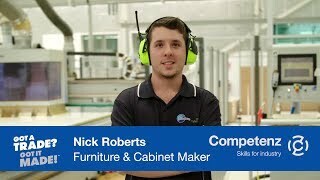 When Brian moved to Competenz he didn’t hesitate to recommend Corrie as the right person to help him update all the Level 2 projects and student workbooks. Corrie holds a Level 7 diploma as a specialist teacher. He has advanced trade qualifications in fitting and turning and continued his upskilling by completing his Level 5 qualification in toolmaking and machining with Competenz in 2005. He’s still involved in the roof tile industry in his limited “free time.” In line with his philosophy around innovation and hands-on production, he helped design and build press tools for Walker Tool and Die. These create highly complex, sophisticated and customised coloured steel roof tiles. The product is so successful that Walkers are currently in the process of setting up a plant in Belgium to cover the European market. Corrie sees a big part of his role as providing the best opportunities to create a smooth transition from school to work. Corrie has made it his mission to develop and nurture the school’s industry contacts.